Dennis Trillo Leads the Cast of "Mulawin Versus Ravena"
Kapuso primetime actor Dennis Trillo will return to the TV series which he was first known! Trillo lead the upcoming requel of the biggest telefastansya, "Mulawin" which is the "Mulawin Versus Ravena." 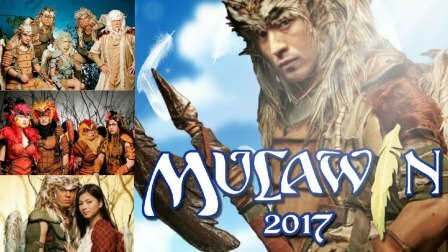 "Mulawin" 2004 was the first ever fantaserye of the Kapuso network which took the country by storm! And it launched the careers of Richard Gutierrez, Angel Locsin, Bianca King, and Dennis Trillo. After 13 years, GMA-7 will retell the story of their most successful fantasy series. And this time, Trillo will be the leading role! Joining Trillo in the said biggest 2017 Kapuso Primetime TV series are Regine Velasquez, Bea Binene, Derrick Monasterio, Dion Ignacio, Chynna Ortaleza, Wyn Marquez, Kiko Estrada, Roi Vinzon, and loveteam Bianca Umali and Miquel Tanfelix.